For what it's worth, the red color of the "review" link to the right looks perfect. Why not put a dot in the green area that indicates unread notifications instead? The dot is meant to emulate the badge icons. I considered coloring the dot to indicate what sort of badge, but a colored dot on a green background would probably be worse for people (not to mention ugly). I can't tell you how accurate the representation is, but at least it should give you some idea. I don't like the idea of changing the green color. Rep is green. We need to show modified lines to make this clearer for all SO users. I'm not a UI guy, so forgive me if this looks terrible. 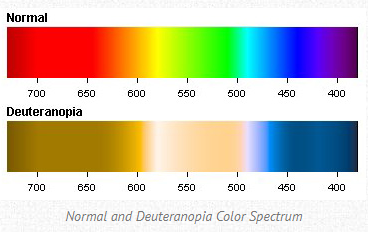 I have written on the UX exchange about color accessibility. ColorHexa has an awesome tool that helps with these types of scenarios. For reference, this is also why modern traffic lights are blue-ish green and no longer pure green as a percent of the population was having issues determining the difference under poor weather conditions between red and green (a clear problem). Making a color that works for users who do not see green is a little complicated. 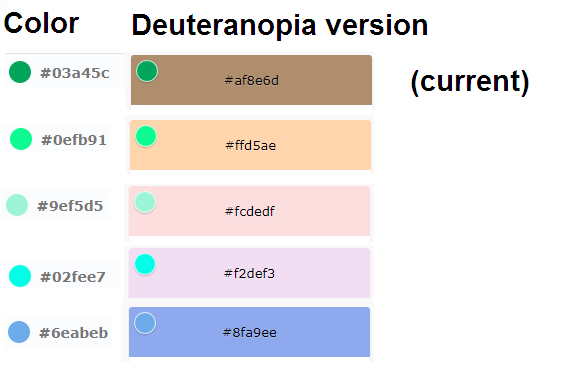 I understand that color accessibility is also complicated for people affected by deuteranopia, so please don't take the purely technical color analysis as an indication of dismissal. It hard to make anything which is supposed to be green, then look like a similar color as the only conversion to go on is that there is no longer green present. Either move away from green, or accept that parts of the UI may look to some as a salmon color. The problem is that the best bet is a shade of blue to ensure everyone sees the same color, however that does change the intent of the icon in general. 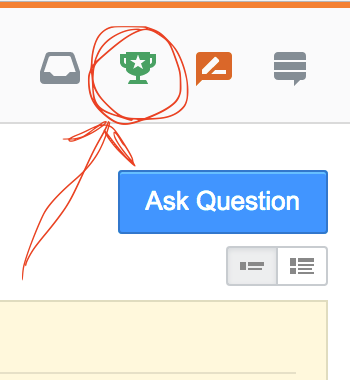 Reputation gain at Stack Overflow has always been green. Here are some options, although to be honest, I do not think any are that ideal. Not the answer you're looking for? 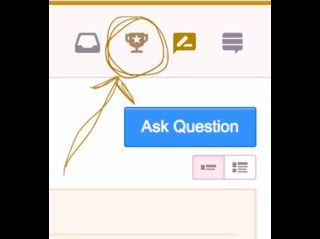 Browse other questions tagged feature-request design top-bar accessibility .